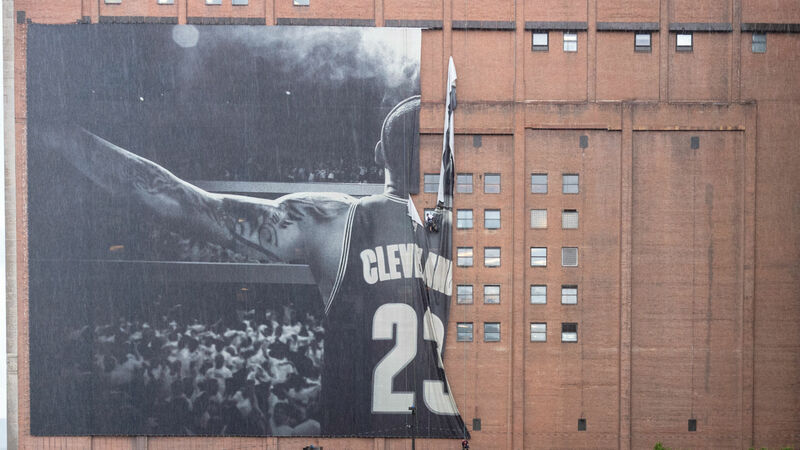 After LeBron James signed with the Lakers as an unrestricted free agent, the city of Cleveland — where he spent a total of 11 seasons winning one championship — needed a makeover. James’ building-wide banner would soon come down, and now the design for James’ replacement has been revealed. Another Ohio athlete could have taken James’ place, as ESPN reported in late August that Jarvis Landry’s brother tried to get the three-time Pro Bowl wide receiver on the side of the building. But those attempts were unsuccessful.